2. It is designed to provide optimum comfort. 3. It relieves key pressure points making you feel re-energized and refreshed every morning. 4. Accumulation of dust and dirt inside the bed topper can lead to allergic reactions. However, Home class memory foam mattress topper prevents dust and dirt from gathering inside the bed topper. This greatly aids people suffering from allergies. 5. 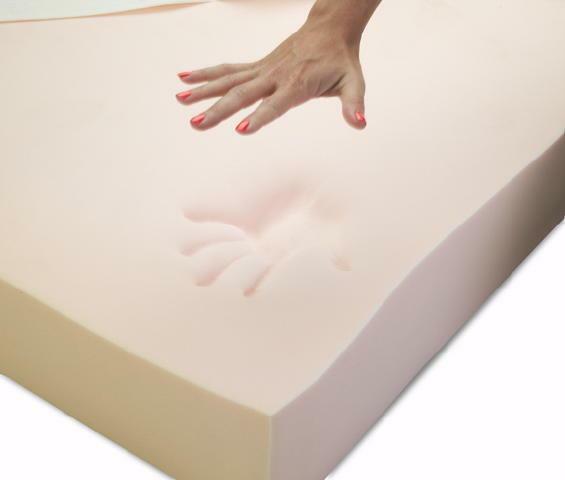 The memory foam reacts to your body’s weight and temperature and molds itself to your body’s shape. So, regardless of the number of times you move while sleeping, you will still be well rested and refreshed. 6. A topper also protects your expensive mattress from daily wear and tear. 7. It relieves lower back pain. 8. In cold climates, it can make you feel a little warmer by preserving the heat in your body. If you are a side-sleeper, get a 4-inch Mattress Topper. If you sleep on your side instead of your back, the pressure on your shoulder, hip and joints intensifies. Even a 3-inch thick Mattress Topper can’t cope with the pressure. Hence, it is a good idea to buy a 4-inch mattress topper. Placing the mattress pad above your mattress topper will make the mattress topper last longer. Readjusting and flipping the topper from time to time, and using a cotton cover to wrap your topper will also prolong the life of the mattress topper. Mattress toppers are useful for people who want an added level of comfort and/or to relieve body pain. They are easy to maintain and also prolong the life of the mattress. Of the various toppers available, Home Classics Memory Foam Mattress Topper is definitely the best one, earning an average rating of 4.7/5 from users.